Greetings and happy (almost) summer solstice! The recipe I’m sharing today has nothing to do with summer. 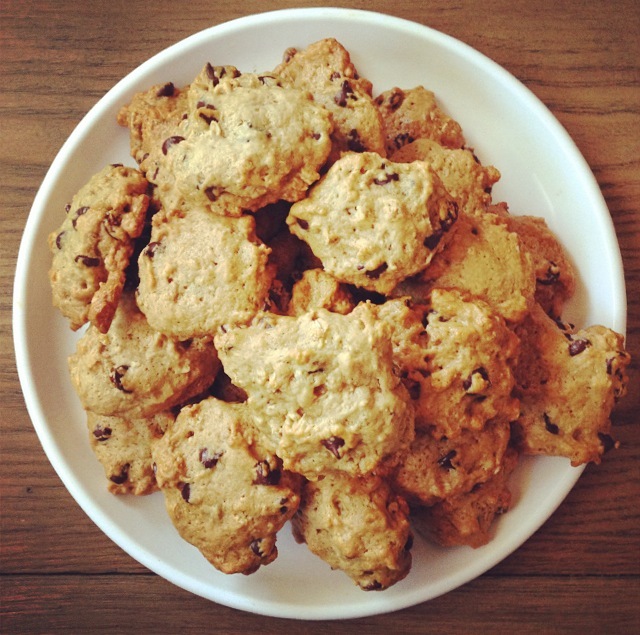 After all, chocolate chip cookies can be eaten year-round and aren’t necessarily something I think of as a summer treat. Regardless, I’m sharing this recipe because of the reasons why I decided to wake up early this morning and create these cookies in the first place. Lately my schedule has been jam-packed due to taking an intensive summer class (microbiology and a microbiology lab) and the start of a new job. These two factors have led me to indulge in some not-so-healthy eating, in the form of coming home late at night and indulging in some of my favorite healthy, yet, junky foods. I realized this past week, that I keep buying foods that I tend to overeat (cereal, granola, chocolate chips, and trail mix, although healthy, are my weaknesses and I never eat just one serving). As I’ve written in previous posts, using food during stress is common, but it shouldn’t be your go-to way to relax. With this in mind (and after eating one too many bowls of granola in bed this past week), I decided to make it easier for myself to not over-do my granola + chocolate chip habit by baking cookies that I can share and give to others. If you find yourself eating the same foods during times of stress, or simply when you’re not actually physically hungry, one easy step to alleviate this problem is by getting rid of the “trigger food”. Instead of being wasteful, either make a dish for someone else or donate the food item to a food bank. If the food is already opened, see if you can contact any organizations that accept fresh yet opened food (many do) or if you live in an area with a visible homeless population, consider showing some kindness and giving your food to a homeless person directly. Kindness towards yourself (by not using food to cope with stress) and kindness towards others (by donating said food items) is a win-win. 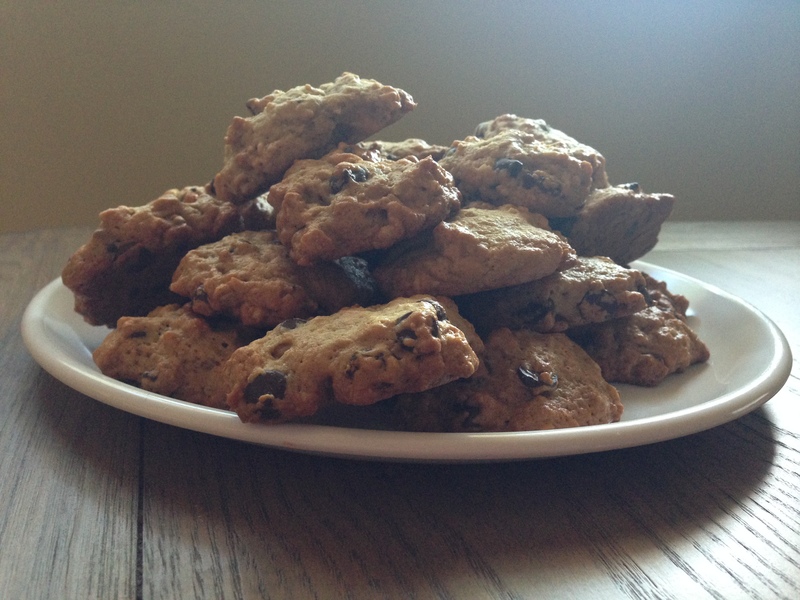 Here’s my recipe for chocolate-chip granola cookies, or as I’m calling them “Compassion Cookies”. Enjoy and share your food! In a large mixing bowl, mix together flour, sugar, baking soda, baking powder, and salt. Create a well in the dry ingredients and add applesauce, vanilla extract, and melted coconut oil. Add the granola and chocolate chips. Remove from the pan, allow to cool.